Remember as a current student you now have college email address and Office 365 free! All students are provided with a college email address. This is attached automatically to college systems including Moodle, and is used by default to send college emails to you – However you can choose to forward these emails to an account of your choice. Forward college email to your personal email address – so you don’t miss important emails. 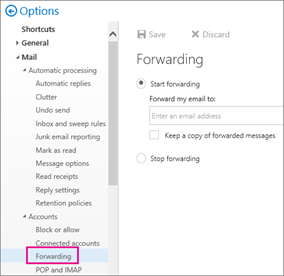 It’s easy to set up forwarding so email sent to your college account (Office 365) automatically goes to another email account, such as your Gmail account. 1.Sign in to Office 365 at www.office.com/signin. 3.Choose Forwarding. If you don’t see this option, it’s not available for your account. 4.You can forward email to one other account. 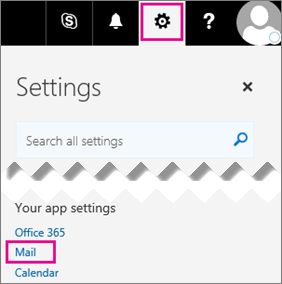 Once you have logged into Office 365 you will be able to access all the office apps and a full copy of the latest version of Office to download to your device. If you need any help just click on the ? at the top right of your page.